Like most tunnels along the Old Main Line, at the start of the 20th century the B&O built Union Dam tunnel to straighten the line. 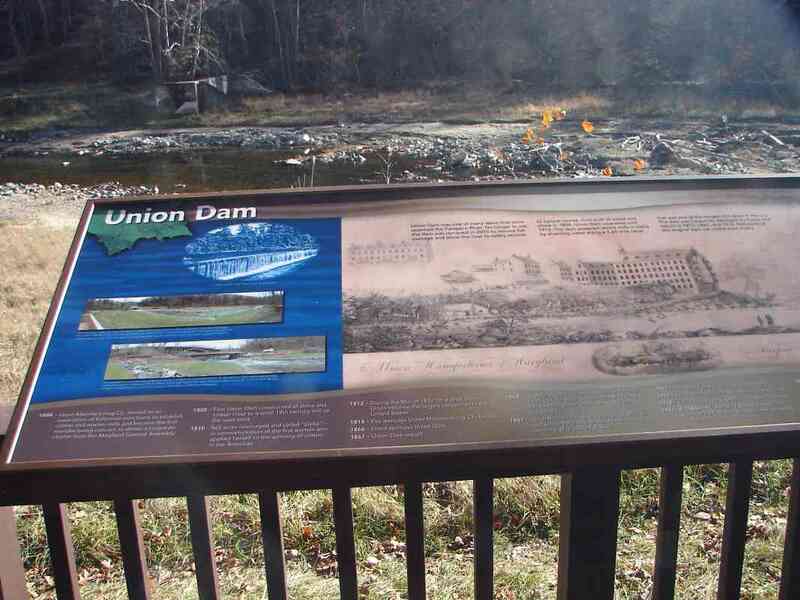 It took the name of the nearby adjacent dam of the Union Manufacturing Company which had been located downstream at the town of Oella since 1808. 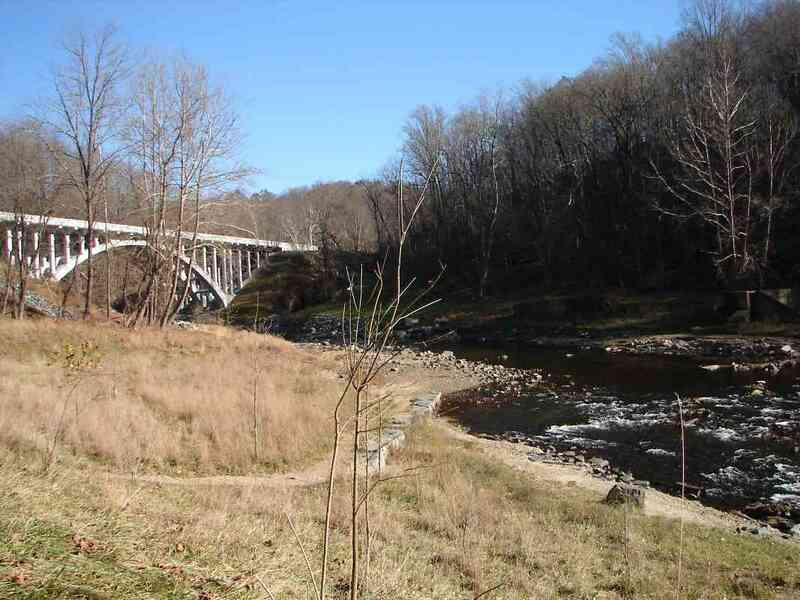 The 1.5-mile millrace on the east side of the river was said to be the longest serving a single mill in the USA. 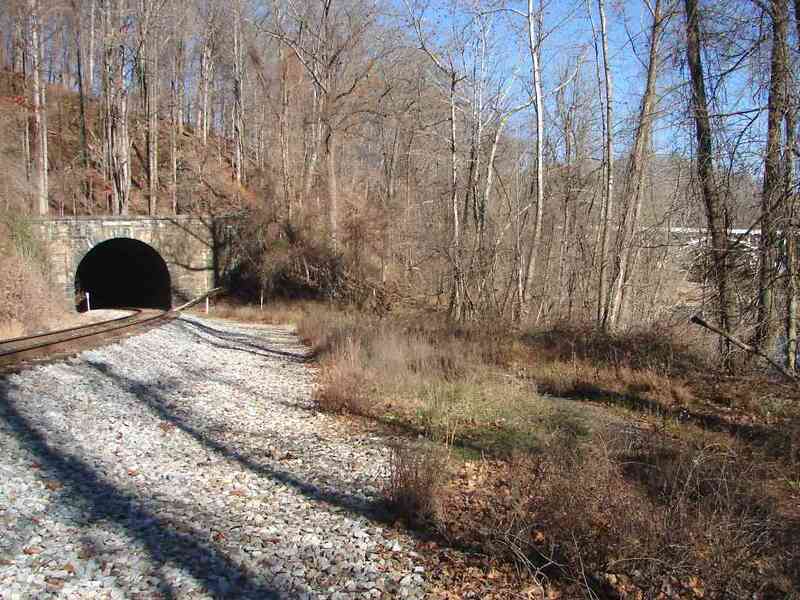 This tour page follows the B&O's original pre-tunnel alignment around the hill. 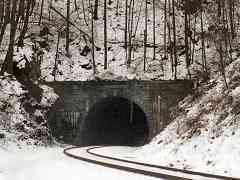 After about 70 years of carrying trains around the sharp curves, the route was disused when the tunnel opened. More than a century later artifacts of it can still be found. The original alignment continued ahead to the right then turned sharply left. The turn was so sharp even Union Dam tunnel could not completely straighten it, and it too curves to the left, though less abruptly. A few original granite stringers, used in 1830 instead of wooden ties, have been exposed along the right-of-way bypassed by the tunnel. The existing tracks appear in the distance, and the tunnel portal is hidden on the right. 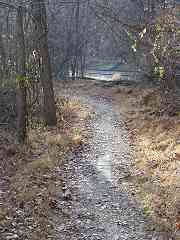 The same stringers as seen looking the opposite direction. In the distance is part of Union Dam. 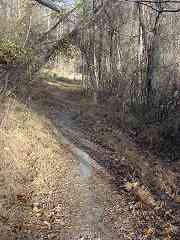 The alignment had curved within sight of Union Dam. The dam had been disused for at least 20 years when, in 1972, floods from Tropical Storm Agnes breached it and carved out the route around it seen here. Over subsequent years, the river washed away so much of the bank that stone-in-wire-mesh cages seen at the bottom were dropped along the shoreline to reduce erosion. The stone has obscured any surviving stringers in this spot. 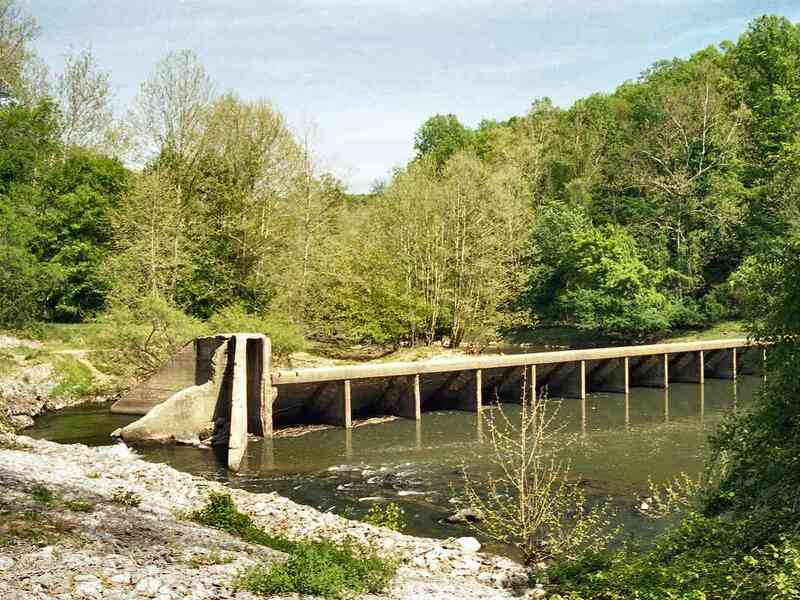 The original dam near this location was built by the Union Manufacturing Company about 1808. The company's founder, William Patterson, for whom the Patterson Viaduct is named, would later become a director of the B&O. 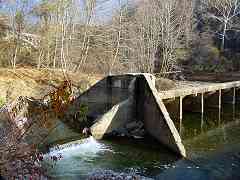 A successor company, WJ Dickey, built the concrete dam seen here around 1914. At low water, this does not look like a formidable obstacle for kayakers, but at other times it is, and more than one person was trapped in the whirlpool and drowned. In the distance is a bridge that carries US Route 40 over the Patapsco River between Baltimore and Howard counties. 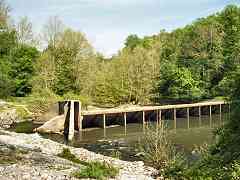 To eliminate the hazard and restore the river, work began in 2010 to remove the dam remnants. At this time of this photo landscaping finishing touches were underway. This photo was snapped close to the spot of the older one above. 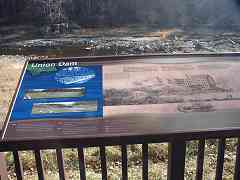 Interpretive signage tells the story of the river, dam and mill. 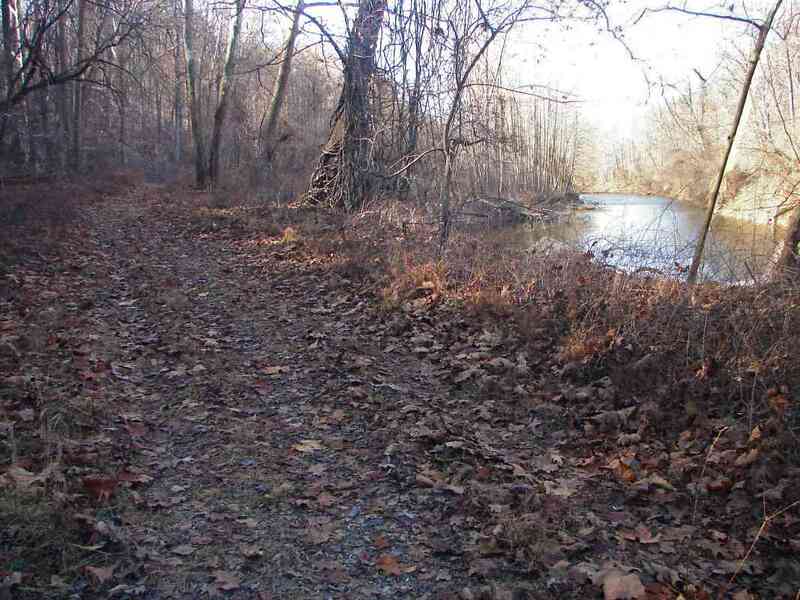 This can be accessed via a steep trail down from the Hollofield Area of Patapsco State Park. 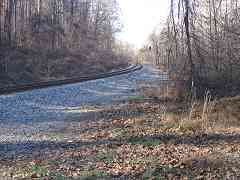 During the 19th century westbound B&O trains passed right to left at this spot. The 1936-built bridge for US 40 was reconstructed between 2010 and 2013. 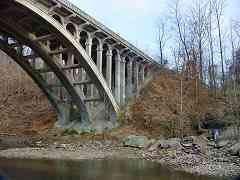 The bridge crosses high above the Union Dam tunnel. It required a fair amount of fill that has obscured much of the OML's original alignment underneath. 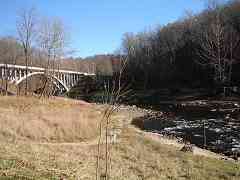 The small stream on the far bank at right is named Miller Run. 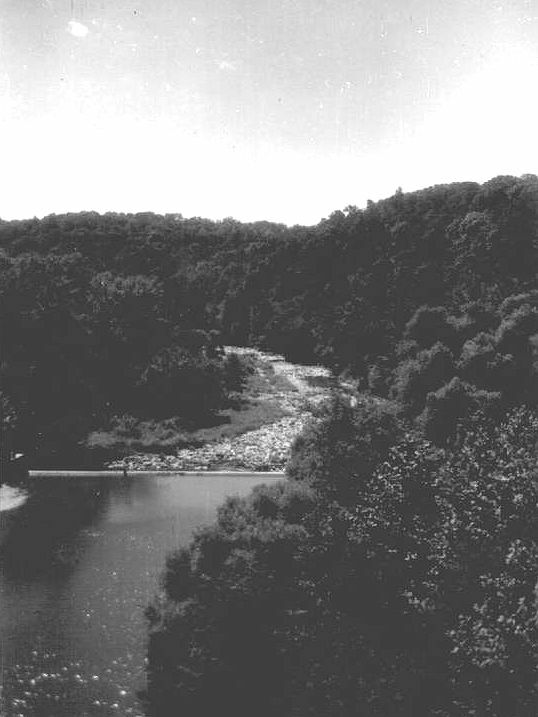 This photo offers the reverse perspective, looking downstream from US 40 before the dam was damaged by floods. 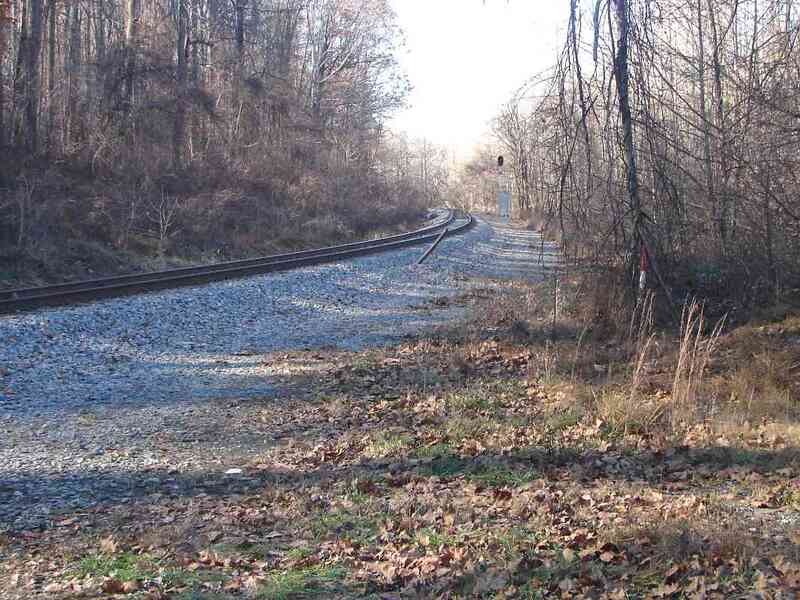 The railroad is hidden by the trees on the right. 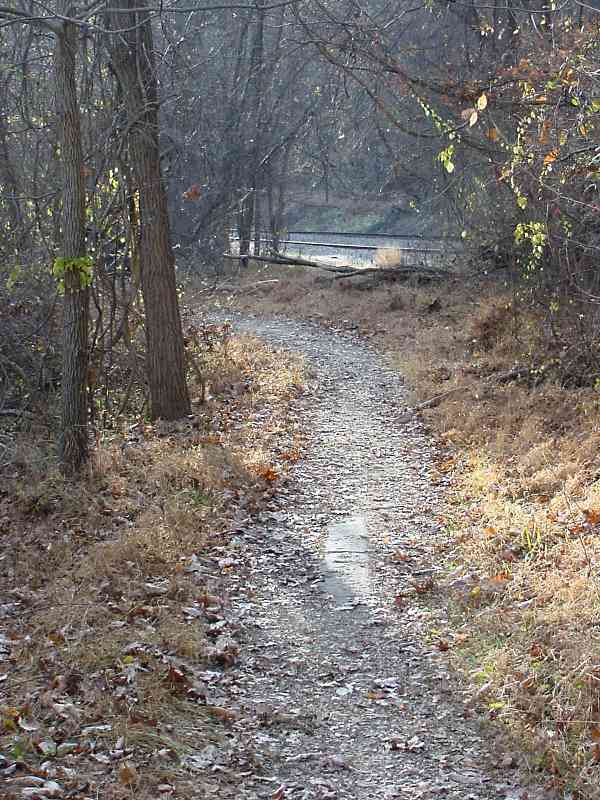 Beyond the fill for US 40, a riverside path marks the original alignment. 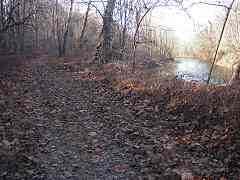 I saw no stringers here, but they likely remain buried under decades of leaves and mud. 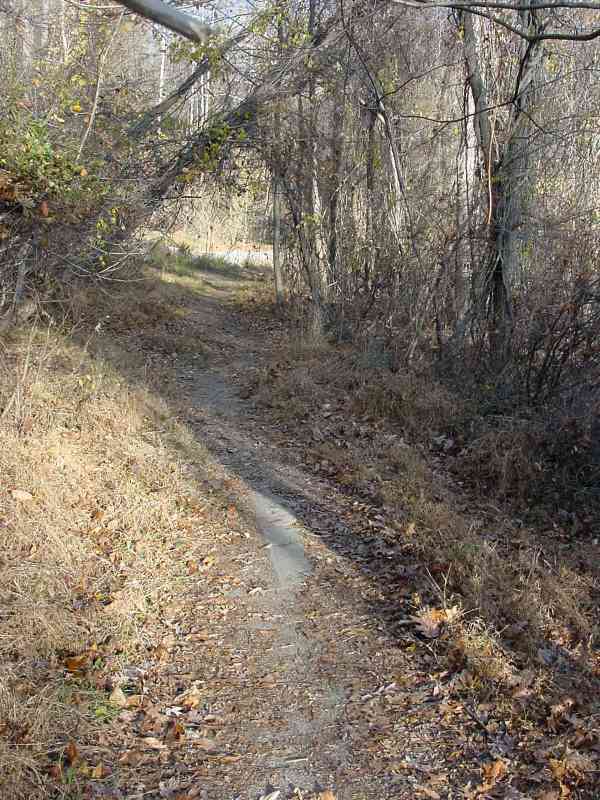 The path emerges at the current railroad alignment. 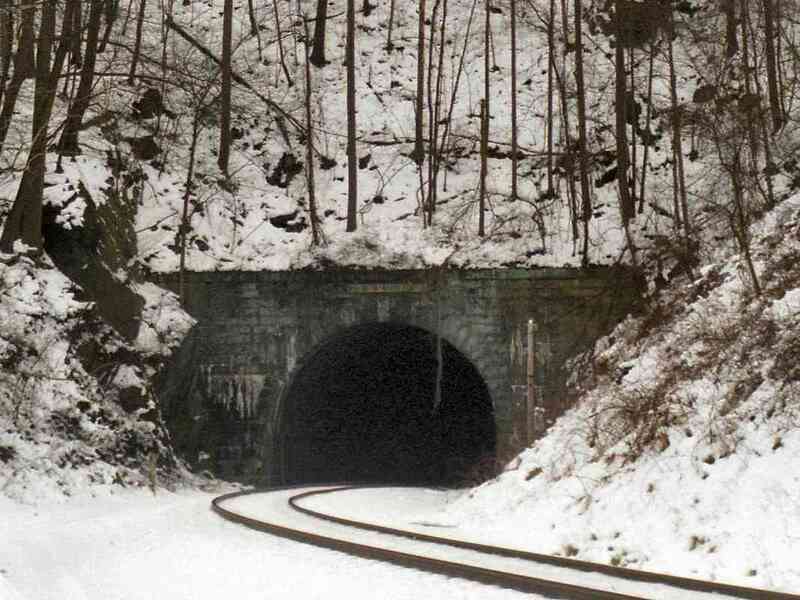 Under the snow, the original alignment curves in from the left to meet the present day trackage. Despite cutting off much of the curve, the Union Dam tunnel still forces a sharp bend in the rails at the tunnel's North (West) portal.